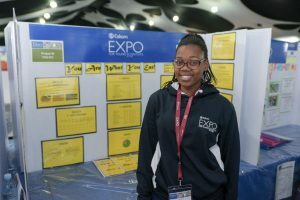 JOHANNESBURG – A PROJECT that aims to help consumers understand information on food label, another working to prevent road carnage and an initiative that calls for stricter swimmer hygiene control measures have received global acclaim as South African scholars shone at a global science competition in China. All four South African students won prizes in their respective categories at the 39th Beijing Youth Science Creation Competition (BYSCC). The biggest winner is Phoebe Mgxaji (aged 16) from the Western Cape. Mgxaji, a student from the Macassar Secondary School in Stellenbosch scooped a silver medal in the bio medical science category. Innovation special award, sponsored by the Beijing district government. This special award included a cash prize of RMB2 000 (about R4 300). Her project looks at food labels – the information available to consumers and what they actually mean. “I feel honoured to have been awarded the special award and the silver medal,” she said. environmental science and engineering category in the Beijing competition. The project by Tyutu, a scholar at Enduku PJS School in Engcobo, won for her research project looking at improving a vehicle’s headlights so it is not blinding to oncoming traffic. This innovation works in a way that when oncoming traffic has bright lights, it dims automatically. When it passes, it brightens automatically. automatically when night falls and switches off at sunrise. managed to come home with something out of all the projects that were there and putting South Africa on the map,” Tyutu said. The project by Ilané du Plessis and Ansonel du Toit (both 16) from Gauteng won silver medals in the biochemistry and molecular biology category at the BYSCC. The two students from Hoërskool Waterkloof in Pretoria looked at the chemicals that find their way into swimming pools and how they react with the chlorine added. Plessis’ and du Toit’s research concluded that stricter swimmer hygiene control measures should be in place in pools. “We feel very happy about our achievements and honoured to win such an amazing prize at such a prestige science competition on an international level,” the duo said. The budding young scientists won their place to represent South Africa in the Beijing competition after being nominated by a panel of academics and professionals at the Eskom Expo for Young Scientists International Science Fair (ISF) in October 2018. Parthy Chetty, Eskom Expo Executive Director, said the exhibition was a platform for youngsters to pursue their passion in science. successful in life, pursue your dreams and take advantage of opportunities like Eskom Expo,” Chetty said.